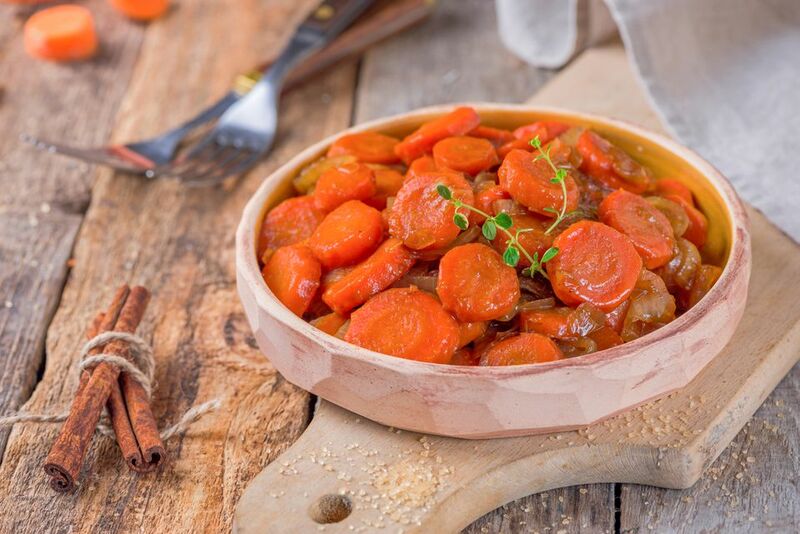 If you're looking for a recipe for a vegan side dish, perhaps for your vegan Thanksgiving celebration, look no further than this easy, vegan sugar-glazed carrots recipe. Also a hit with vegetarian and vegan kids, this recipe is made with brown sugar, vegan margarine, a touch of cinnamon and not much else. It is so easy and simple. Steam the carrots in a small amount of water until tender, about 8 minutes. In a medium saucepan, combine the carrots, onion, brown sugar, margarine, and cinnamon. Simmer, stirring occasionally for 15 minutes.